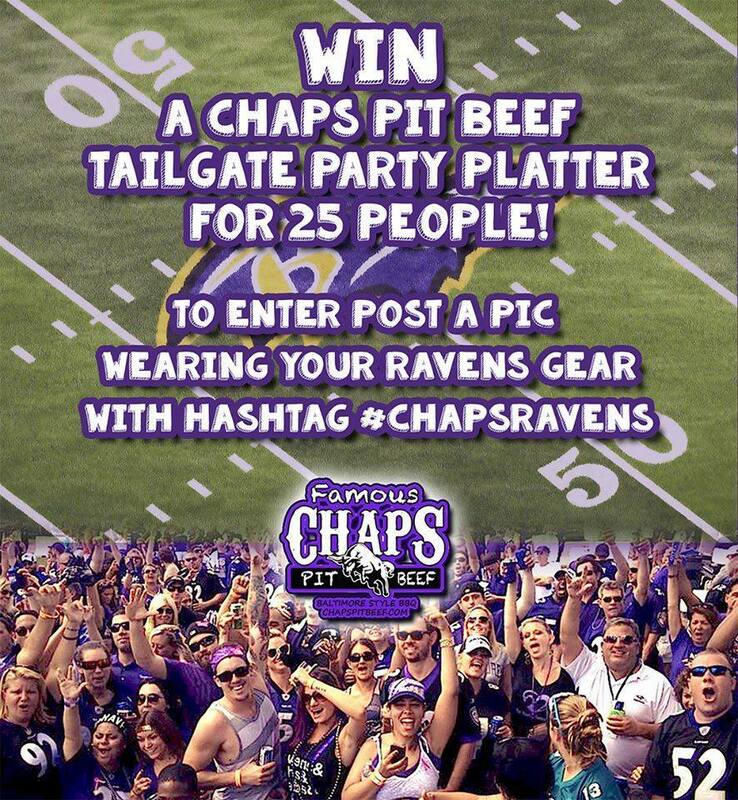 Win a Chaps Pit Beef Tailgate Party Platter for 25 People. To enter, simply post a pic to your Facebook, Instagram, or Twitter profile wearing your favorite Ravens gear with the hashtag #CHAPSRAVENS. Don’t forget to post your best pic and tag it!